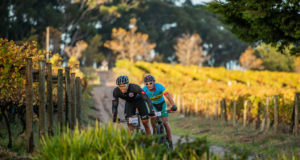 Having already sponsored one of the country’s premier road stage tours in the Tour of Good Hope, Takealot chief marketing officer Julie-Anne Walsh said the Berge & Dale formed part of their long-term strategy. “Thanks to our close relationship with ASG, this is more than just adding immediate value,” she said. 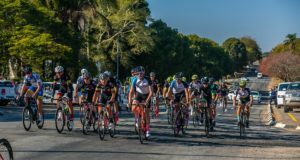 “Takealot’s aim is to establish itself as a cycling destination so anything that can help us achieve that, such as visibility at events like this, is key. Walsh added they were looking forward to continuing their partnership with ASG Events as it had the potential to benefit both parties. “ASG have been instrumental in helping us roll out our cycling store, with the cycling expertise they bring to the table. ASG Group chief executive Heinrich Dannhauser said they had enjoyed a fantastic relationship with Takealot over the past few years. “We already offer some of the best brands and products to local consumers, as do Takealot, and, with this partnership, they look set to become South Africa’s biggest online cycling store,” he said. Takealot, he said, were recently voted as one of the country’s most trusted brands “so this joining of forces looks like it could add real value to the cycling community”.